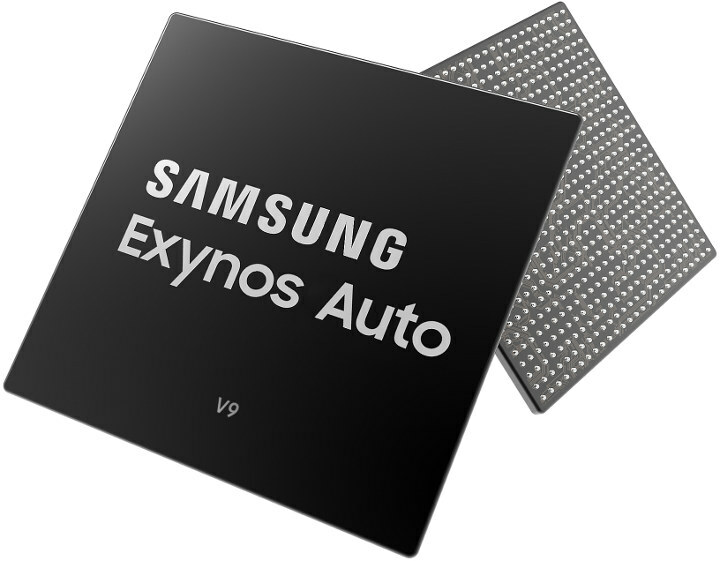 Samsung Exynos processors are well known for their use in mobile processor, but the company has now announced their first automotive grade processor with Exynos Auto V9 SoC featuring eight Cortex A76 cores clocked at up to 2.1 GHz, a Mali G76 GPU, a HiFi 4 audio digital signal processor (DSP), an intelligent neural processing unit (NPU), and a safety island core that supports Automotive Safety Integrity Level (ASIL)-B standards. Exynos Auto V9 does not come with the latest Cortex-A76AE cores for autonomous driving, as instead the processor is specifically designed for in-vehicle infotainment (IVI) systems, and will be found in Audi cars starting in 2021. The processor also supports LPDDR4 and LPDDR5 DRAM, can control up to six independent displays and twelve cameras. Three separate sets of Mali G76 GPU cores will enable simultaneous support for the cluster display, central information display (CID) and rear-seat entertainment (RSE). The NPU will be used for features as a speech, gesture or face recognition, and enable a “digital concierge service” that can “manage a safe and personalized driving environment”. Exynos Auto V9’s embedded safety island will allow real-time protection for system operations, and compliance with ASIL-B requirements. Octa-core A76 for a car infotainment system ??? Do we need to play Crysis while driving or what? This sounds like a desktop-class processor. The processor needs to handle up to 6 displays and 12 cameras, so maybe that’s one of the reason. The IVI systems will also be launched in 2021, so while it won’t feel slow, it won’t be high-end anymore at the time.